Dr Deborah Wiltshire, Senior Access and Support Officer at the UK Data Service discusses the effect of health policy on the nation’s health. Deborah works with data, used by researchers to inform policy, providing advice on dataset content and analysis, and gives face-to-face and online introductory training to students, academics and other researchers. 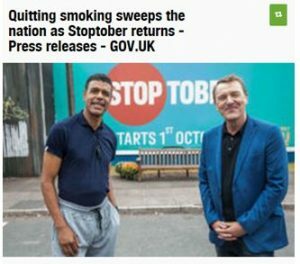 October marks the annual Stoptober campaign which aims to help people give up smoking. Encouraging people to give up smoking has long been an important focus of health policy in the UK, and research carried out using data available through the UK Data Service suggests that these policies and campaigns are having some success. A report by Public Health England using data from the Annual Population Survey found that in 2015 500,000 people successfully gave up smoking, the highest recorded success rate. Smoking rates in England, the report states, is now at an all-time low at 16.9%. Research using the Scottish Health Survey found that smoking rates are also decreasing in Scotland, and suggests that part of the observed reduction in smoking may be due to the increased use in aids such as E-cigarettes. But whilst studies at the country level show a decreasing trend in smoking nationally, local trends may reveal a different picture. The availability of smaller geographical area information in the Welsh Health Survey data enabled researchers to have a look at local trends across Wales, their study found that whilst smoking rates were falling overall, declines in smoking were not universal across all local areas. 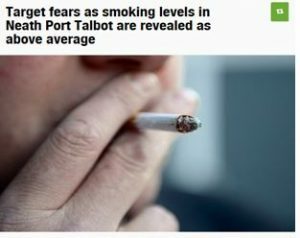 The study found that 21% of people in Neath Port Talbot smoke compared to 20% across Wales. Likewise in Scotland, a study using the Scottish Health Study found that 25% of adults in Tayside had smoked regularly in the previous 3 years compared to 22% across Scotland. Health survey data has also been widely used to explain peoples’ health behaviours. 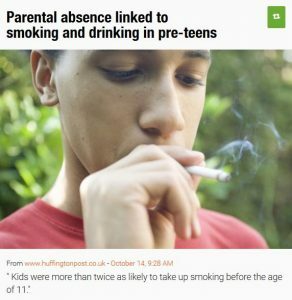 For example studies have looked at the impact on the loss of a parent through death or divorce on the likelihood of children trying smoking or drinking. A study using data on 11,000 children from the Millennium Cohort Study found that drinking was more common in preteens than smoking, but both behaviours were more common in those 11 year olds that had experienced the absence of a parent before the age of 7. Health research also looks at other key aspects of our health and health behaviours. Obesity is an important issue that has been widely researched, and childhood obesity has been shown to be on the decline in a study using the annual Health Survey for England, it remains a key policy concern. 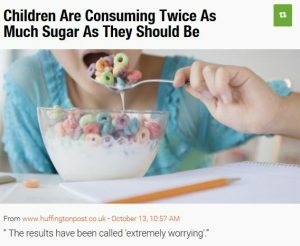 Research using the National Diet and Nutrition Survey has shown that children are consuming twice as much sugar as is recommended. Health is not just about our physical health, but also about our mental well-being. Mental health and well-being is a growing area of concern and many social and health surveys collect on information on this subject. A recent study using the Psychiatric Morbidity Surveys shows both the extent of mental health problems across the UK and identifies a number of potential factors such as poverty and unemployment that can adversely affect our mental health. Research into health and health behaviour is vital in continuing to improve our physical and mental well-being. 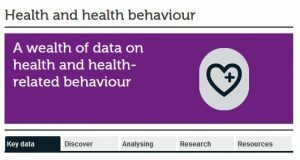 Health and health behaviour covers a wide range of topics and cuts across many academic disciplines. Data have been collected and are made available via the UK Data Service on topics as varied as the experience of illness, child development, access to care, lifestyle behaviour, subjective physical and mental well-being, diet and nutrition, immunisation programmes and attitudes towards health service provision. Data on health and health behaviour can cover not only a person’s status, behaviour, attitudes and expectations but also the provision of health care, including the mechanics of policy making, government expenditure and service coverage. 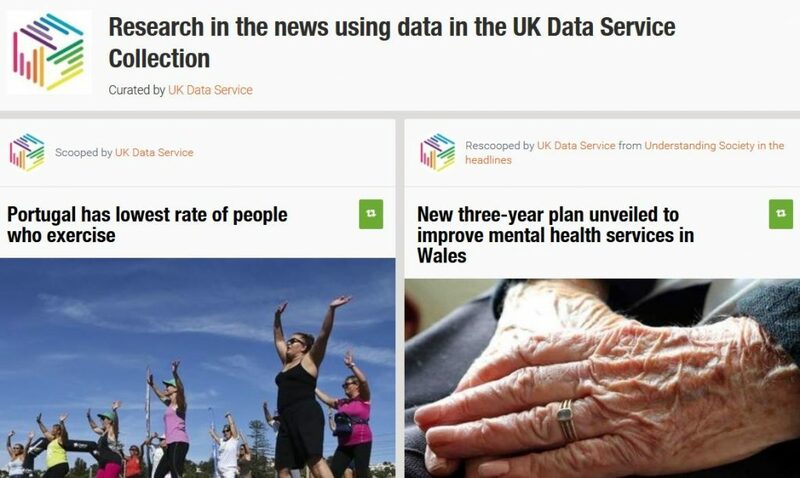 The following key surveys are just a selection of the datasets containing health-related information available through the UK Data Service. They are repeated cross-sectional surveys – many of them are repeated every or most years but each time they are run they use a new sample of people. They often use the same questions each time they are run so they can be used to track trends in the population over time. The Health Survey for England (HSE), sponsored by the Information Centre for Health and Social Care and the Department of Health, began in 1991 and has been carried out annually since then. A number of core questions are included in every wave but each year’s survey also has a particular focus on a disease or condition or population group, which are subsequently revisited at appropriate intervals in order to monitor change. The survey combines questionnaire-based answers with physical measurements and the analysis of blood samples. Blood pressure, height and weight, smoking, drinking and general health are covered every year. An interview with each eligible person in the household is followed by a nurse visit. The Scottish Health Survey (SHeS) began in 1995, with subsequent surveys conducted in 1998 and 2003. From 2008-2011, commissioned by the Scottish Government, the survey has run continuously with a two stage process – a personal interview for the full sample, followed by a nurse visit to one sixth of the sample, whereas it was previously offered to the whole sample. The aim of the SHeS is to gain knowledge about the health of the population of Scotland. The current Welsh Health Survey (WHS) began in 2003 and collects information about the health of people living in Wales, the way they use health services, and the factors that can affect their health. It is commissioned by the Welsh Government. The Northern Ireland Health Survey was commissioned by the Department of Health in Northern Ireland. It covers a range of health topics that are important to the lives of people in Northern Ireland today. It provides a source of information on a wide range of health issues relevant to Northern Ireland. The information collected is pursuing the development of policies aimed at improving the health and well-being of the Northern Ireland population. The National Diet and Nutrition Survey (NDNS) programme was initially established in 1992. The initial phase included four cross-sectional surveys which covered separate age groups: children aged 1.5 years to 4.5 years in 1992-1993; young people aged 4 to 18 years in 1997; people aged 65 years and over in 1994-1996 and adults aged 19 to 64 years in 2000-2001. Responsibility for the programme transferred to the Food Standards Agency in 2000. From 2008, a new continuous NDNS cross-sectional survey started. The rolling programme will provide detailed food consumption data essential to support risk assessments for food chemicals and will also benefit a wide range of government activities related to diet and health. There are also a number of longitudinal and cohort studies that collected information on health related topics. These contain information about individuals or households and, like the cross-sectional studies, are repeated regularly. However these studies follow the same people each time so they can get the answer to the same question for the same person over an extended time period. This allows researchers to analyse change at the individual level and allow research questions such as “What predicts poor health in middle age” to be addressed. The Understanding Society study, or the United Kingdom Household Longitudinal Study (UKHLS) began in 2009 and is a successor to the British Household Panel Survey (BHPS). The BHPS sample forms part of Understanding Society from Wave 2 onwards. As a multi-topic household survey, the purpose of Understanding Society is to understand social and economic change in Britain at the household and individual levels. It is anticipated that over time the study will permit examination of short- and long-term effects of social and economic change on the general well-being of the UK population. The study includes annual measures of physical and mental well-being, allowing changes in individuals’ well-being to be examined over time. The Life Opportunities Survey (LOS), which ran from June 2009 to September 2014, is a large scale longitudinal survey of disability in Great Britain. It is the first major ONS social survey to explore disability in terms of the social barriers to participation that people experience. The survey compares the experiences of disabled people with those of nondisabled people. Like the longitudinal studies, cohort studies follow the same individuals over time. However their sample includes individuals born in a specific time period, who are then followed across their lifespan. The National Child Development Study (NCDS) is a continuing longitudinal study that seeks to follow the lives of all those living in Great Britain who were born in one particular week in 1958. Conducted by the Centre for Longitudinal Studies (CLS), the aim of the study is to improve understanding of the factors affecting human development over the whole lifespan. It collects information on physical and educational development, economic circumstances, employment, family life, health behaviour, wellbeing, social participation and attitudes. The 1970 British Cohort Study (BCS70) follows the lives of more than 17,000 people born in England, Scotland and Wales in a single week of 1970. Over the course of cohort members’ lives, the BCS70 has broadened from a strictly medical focus at birth to collect information on health, physical, educational and social development, and economic circumstances among other factors. The Millennium Cohort Study (MCS), which began in 2000, is conducted by the Centre for Longitudinal Studies (CLS). It aims to chart the conditions of social, economic and health advantages and disadvantages facing children born at the start of the 21st century. The study has been tracking the ‘Millennium children’ through their early childhood years and plans to follow them into adulthood. It also provides a basis for comparing patterns of development with the preceding cohort studies (the National Child Development Study (NCDS) and the 1970 Birth Cohort Study (BCS70). Finding data on health topics couldn’t be easier. Our Data by Theme pages help you find key data sources as well as useful resources from the UK Data Service and links to useful external sources. You can also find case studies and ideas for research topics here. The UK Data Service also run Survey User Conferences throughout the year, each one focused on a particular topic. The Health Survey Data Users Conference ran on 29th June 2016 and was well attended by people from a range of organisations. The full day event offered an opportunity for survey teams and data users to meet and was a chance to hear about new developments in health surveys and for researchers to share their work. The morning saw presentations from a number of Survey teams including the Health Survey for England, the Scottish and Welsh Health Surveys, the English longitudinal study of ageing and the Adult Psychiatric Morbidity Survey; whilst the afternoon gave researchers the chance to share their research. You can find many of the presentation slides from the conference on the events page. Find out more about how data in the UK Data Service collection is being used to inform the effect of health policy on the nation’s health and other policy areas, via our Scoop.It.